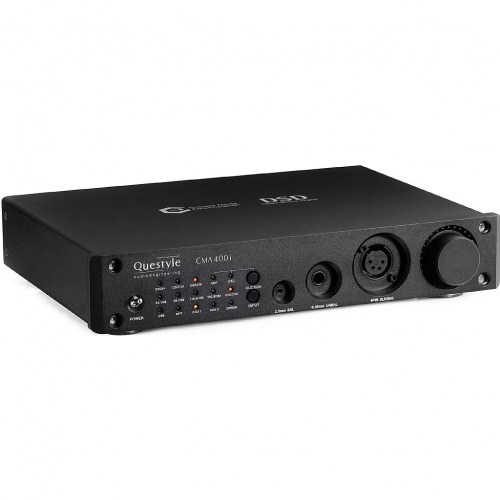 Questyle's CMA400i is a hybrid digital-analogue converter and headphone amplifier rolled into one. 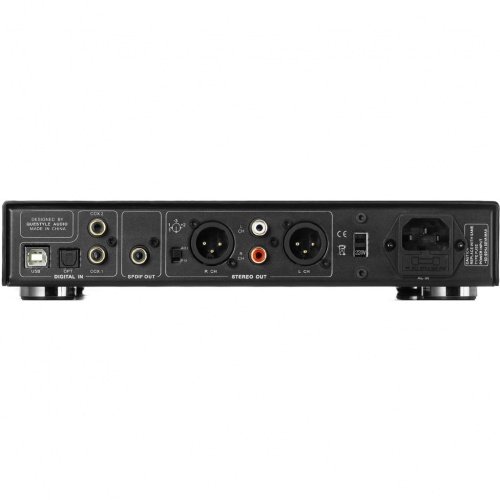 It is the most affordable of the CMA 'Current Mode Amplifier' series to-date. 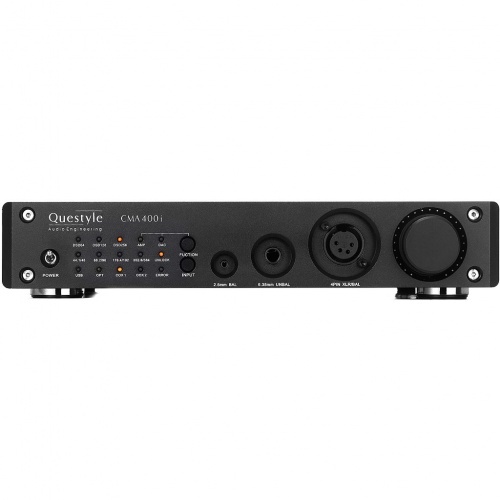 Complete with Questyle's patented 'True DSD' technology and AKM AK4490 DAC chip, the CMA400i has the capability to process all DSD signals without any PCM conversion. CMA400i, inheriting the state-of-the-art technology of Questyle Golden Reference System, is visually impressive and mysterious for its black and sandblasted chassis, and the amber light of LED indicators. CMA400i can be placed straight with a specially designed stand, which is not only space saving but also eye-catching for its statue-like structure under light. Lasered dots of volume scale, which is the DNA of Questyle product family, show the accuracy and specialty of operation. 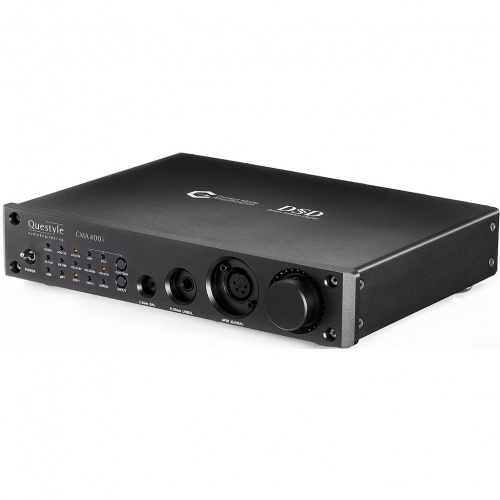 CMA400i has a great capability for signal processing, supporting Win XP, Vista, Win7, Win8, WIN10 and MAC OS. When connecting to a computer, it is only responsible for sending data. 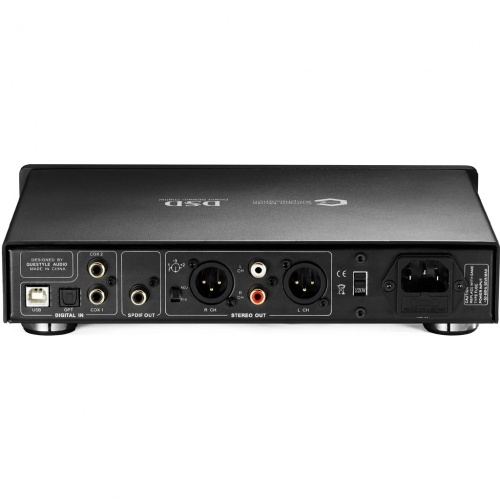 So, everything related to sound quality will be guaranteed by CMA400i, no matter it is a song, a film or a game. Each CMA400i is tested by QC engineers from Foxconn with Audio Precision AP2722 before shipping and has its testing report filled. Every testing report is unique and written in two copies, one is put in the product packing box for the customer, and another is kept in a safety box at Questyle to aid in following up and maintaining.